Hagfish Day! 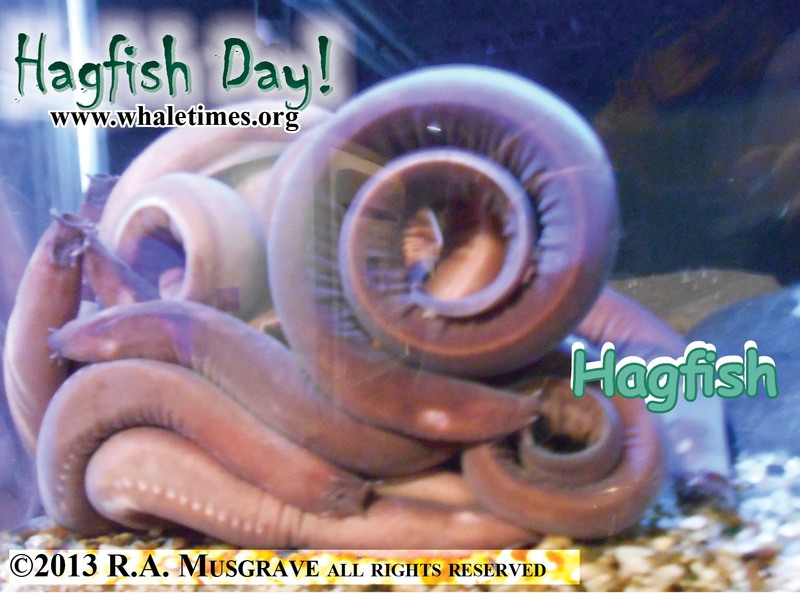 | WhaleTimes, Inc.
Merry…uh…Happy, no…hmmm, oh, Hooray, it’s HAGFISH DAY!!! Celebrate the anniversary of the 9th Hagfish Day Celebration with us October 18, 2017!!! Nine years of exotic, unusual, some might say ugly (we prefer beauty-challenged) ocean animals. 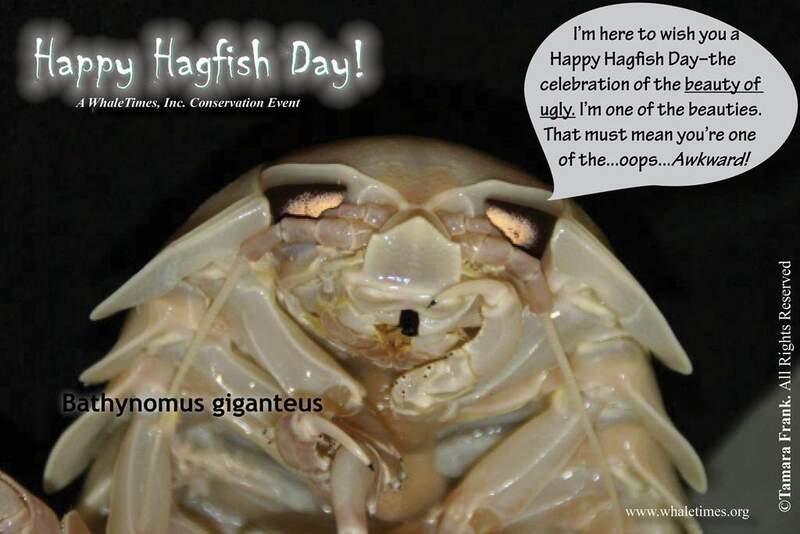 WhaleTimes created Hagfish Day (in 2009) to celebrate the beauty of ugly. 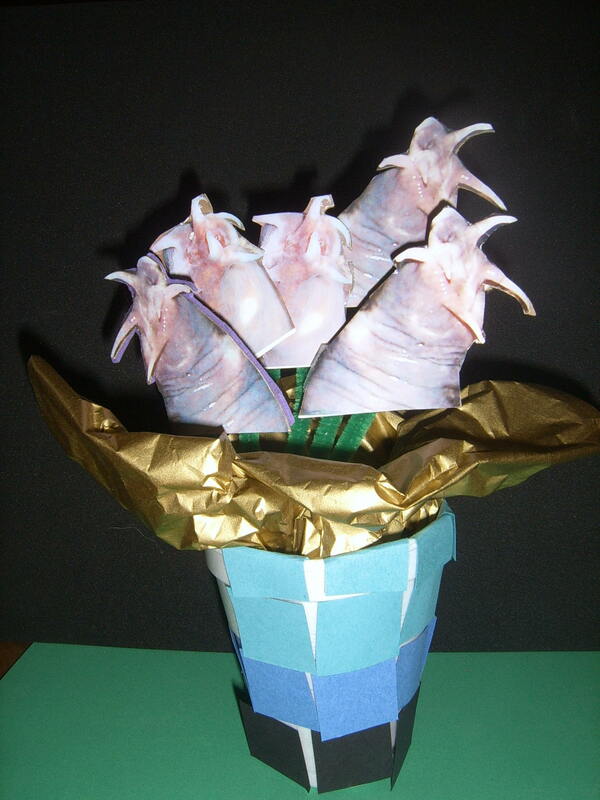 Hagfish are the perfect example. These deep-sea scavengers ooze buckets of slime. They also play an important role in their ecosystem. 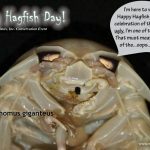 WhaleTimes believes repugnant and slightly revolting animals like hagfish make great role models for highlighting conservation concerns for all marine animals. 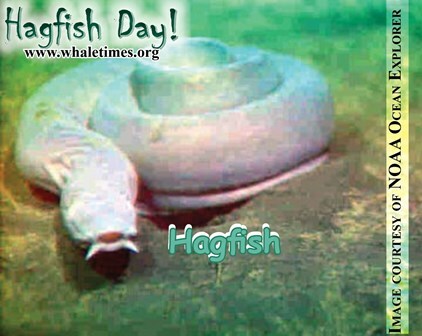 How do you celebrate Hagfish Day? 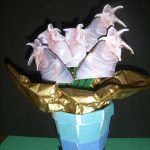 Classrooms, individuals and families can participate by making Hagfish Slime, writing , make or send a Hagfish Bouquet to a friend. It’s sure to be a good slime! 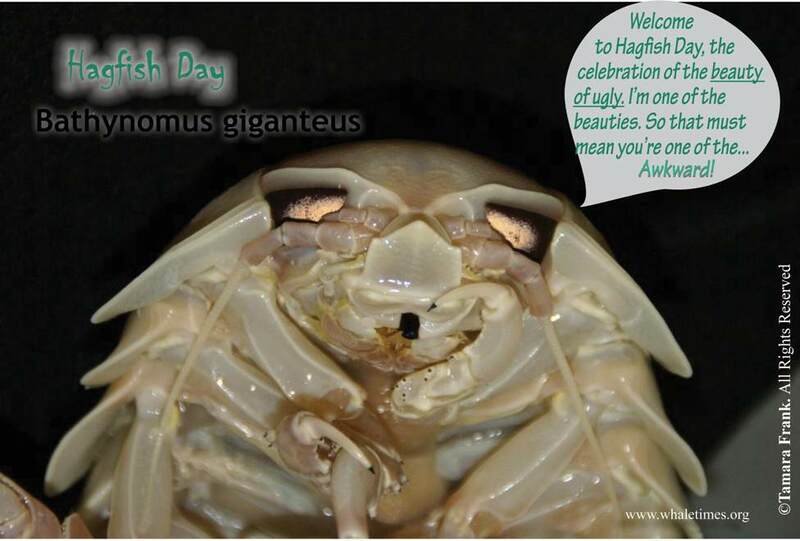 Below are some Hagfish Day activities if you just can’t wait to celebrate the beauty of ugly. 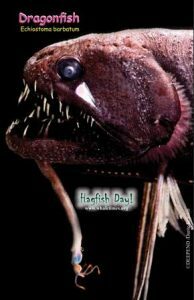 What makes for a great Hagfish Day star? Animals that are a combination of unusual, endangered, and beauty challenged. 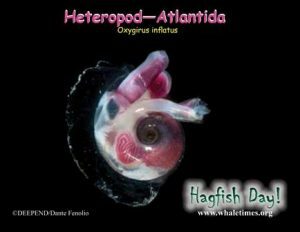 Posted in DEEPEND, Hagfish Day!, WhaleTimes Updates | Tagged conservation, DEEPEND, Hagfish Day!, sustainable seafood | Comments Off on It’s Slime Time!